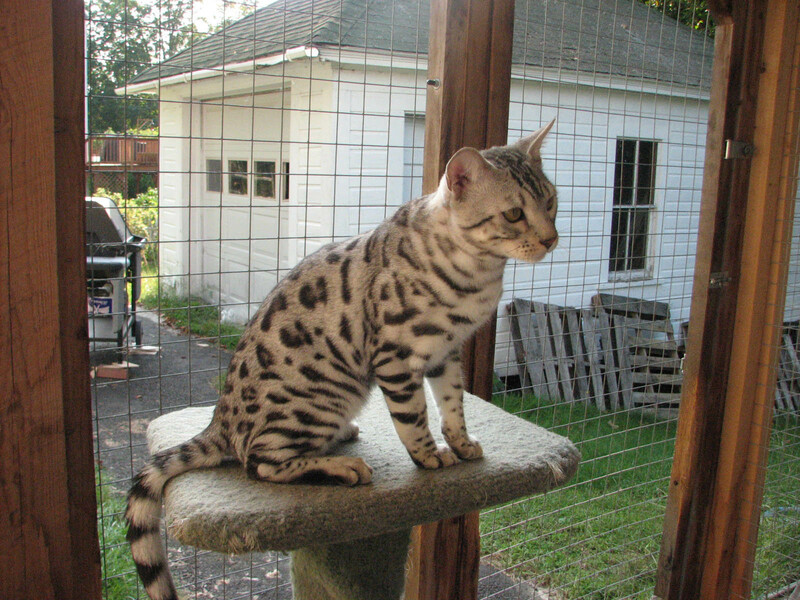 Snow Tundra Steeley Dan is a very clear coated silver/black bengal boy who came from our gorgeous silver girl Niema Bengals Cleo Of Snow Tundra and our striking CH Dollar! 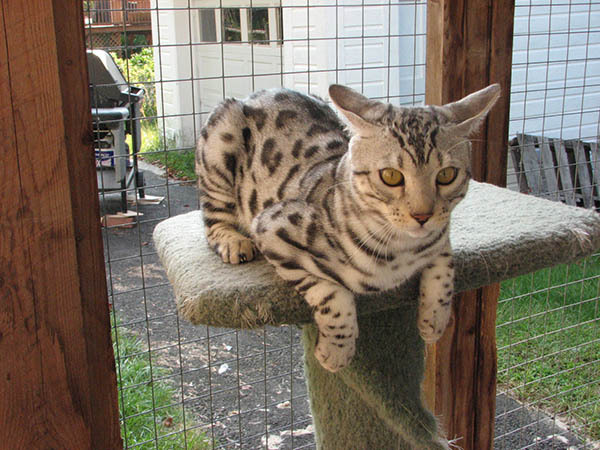 He one of our very best bengal kittens that was born right here under our roof at Snow Tundra! 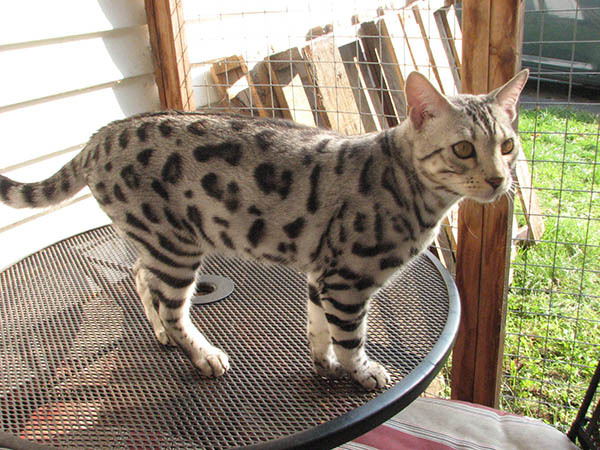 Steeley is very solid and long bodied and has an outstanding bengal head! Plus, Steeley is the biggest Love Bug you will ever find! He is extremely affectionate and loves being cuddled and loved upon! Snow Tundra Steely Dan has already proven himself as a kitten at The TICA Noth east Regional Cat Show in Cromwell, Connecticutt on August 5th and 6th, 2017, where he finaled in eight rings out of twelve rings at his first kitten show at just five and half months old and was the fourth best kitten out of forty kittens at that show! 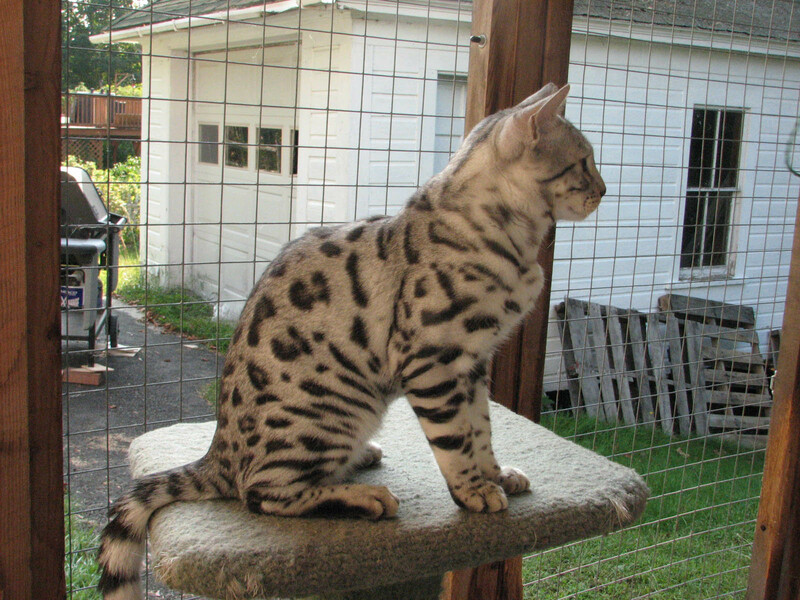 And he was the Number One Bengal kitten at the show! We are so proud of our spcial Boy! We can't wait to see what qualities he will bring to our breeding program here at Snow Tundra!